Emtek offers one of the largest variety of decorative door hardware, cabinet hardware and bath hardware on the market today. 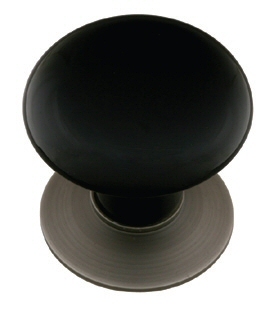 The Porcelain Collection includes classic hardware made of porcelain such as the Ebony Knob and Ice White Knob. 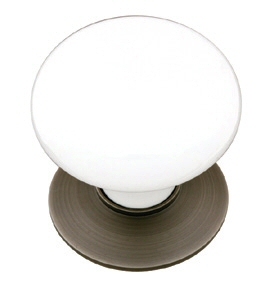 They are each available in the following finishes: Polished Brass, French Antique, Oil Rubbed Bronze, Satin Nickel, Pewter or Polished Chrome.